It really did start to snow last night and continued on for awhile. 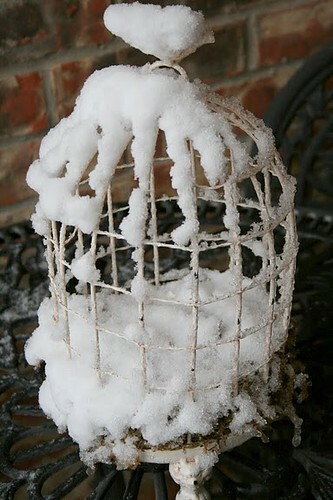 My poor spring birdcage and nest decoration. I'm sure it will melt quickly, but I'm glad I didn't take the extra comforter off our bed! Brrr!! Hope it warms up soon so you can enjoy Spring weather. 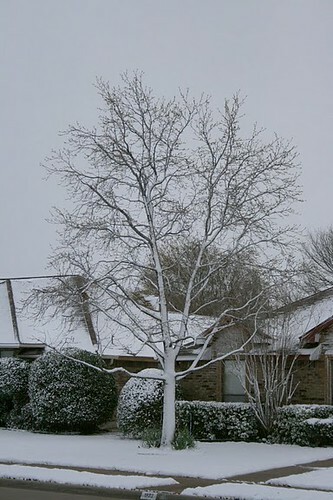 Your snow pictures are beautiful! It's snowing again like crazy here in NE Oklahoma. It snowed a little here too but we're in Michigan so that's to be expected. I am ready for some warm weather! 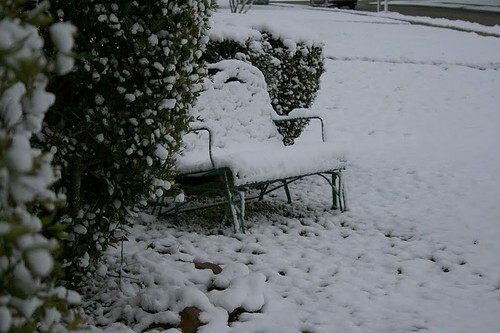 Love your snow photos Kelli! It is finally spring in Florida!! YIPPEE!! It will be spring there soon!! Good things those daffodils are inside!! Thanks for your Etsy tips, gal! You're a sweetie! I'll let you know when my shop is open! You got some really pretty pictures of it. 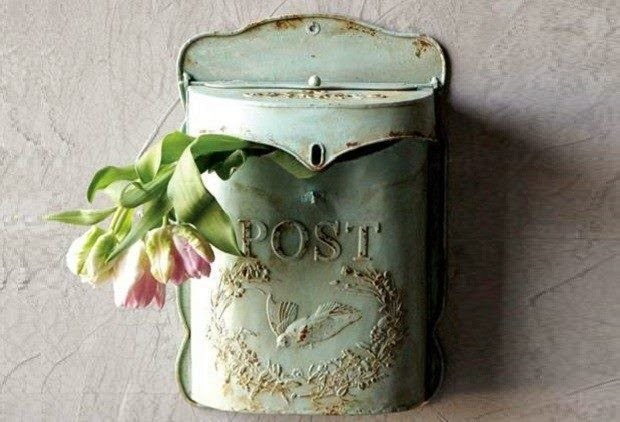 And it sure looks more charming at someone elses house than it does mine! We got a full foot of it! whoa! Texas is looking alot like Wisconsin this year! :) - except we always expect another snow in March- no big surprise! 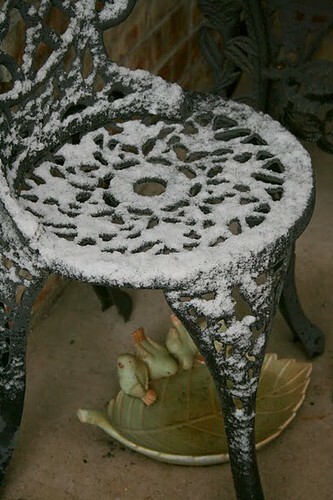 We had about an inch- all melted today- yay! Oh my, more snow !!! Have a good beginning of the new week !!! It is still cold here as well...we are just getting rain but maybe we will hit the 70s tomorrow. I sure hope so!! Snowing here today. Honey Bear flew to Houston this morning. He says it is sunny but chilly there today. Isn't the weather crazy. I hope that was our last snow. I read the previous post and was glad to see Daisy. She is so pretty and big. Haven't seen a photo in a while! Hi Kelli, this is NOT what I EXPECTED when I read your post title! Big smile. But I totally understand. Snow has a mind of its own! hahahaha....your poor little birdcage, that is sad isn't it? Oh well. The sun will come out soon...and your birds nest will be pretty once again. Wow! It's crazy, we've had Spring weather for weeks - even poor Olympic athletes were competing in the rays of sun... The snow does look gorgeous though! I just realized after looking at this post again that I've got almost the same little bird dish (where they are all perched atop a leaf on the side!). I have a similar metal bird cage that I keep outside too...it actually drew my attention to your post because I thought it looked so familiar! I'm following your blog now. Hope you'll visit me sometime as well.